A certified nursing assistant may have to do various duties which may vary from feeding patients, checking their physical recovery and signs, as well as maintaining their hygiene. This depends on which section the nursing assistant is working. Some of the basic job descriptions of a certified nursing assistant are listed below. 1) As the name suggests, nursing assistant basically help the nursing staff in admitting, transferring and discharging the patients. Their duties may also include maintaining required documentations and paper works of patients. 2) Certified nursing assistant take care of the hygiene of the patients. It is their duty to take care of their feedings schedules, bathing, looking after their beddings and similar responsibilities. 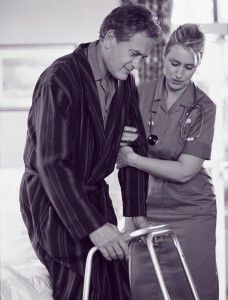 They should help the patients in getting dressed and helping them shift their positions in beds. 3) Certified nursing assistant is also required to check vital signs of the patient and report them to the physician. 4) A certified nursing assistant is also expected to provide emotional support to the patient. Because they are in more contact with the patients, they are expected to provide physical, emotional and social support and comfort to the patients. 5) Certified nursing assistants are required to have a valid CNA license to work. Moreover, they are also required to have good communication skills and a good command of English. 6) Certified nursing assistants may be required to lift patients or even move them from one ward to another. Similarly, nursing assistants may be exposed to several chemicals and are even susceptible to various diseases during the work period. 7) Certified nursing assistants must be ready to work in any time of day. Most medical facilities do not have fixed time for any kind of medical officers, so nursing assistants must be ready to work in any shift rather than a particular 9-5 job. They should always be ready to work for extended sessions and during emergency.